HomeNews in PerspectiveIs president Koroma getting on top of Ebola? After growing criticisms from health experts of the lethargic and deliberate policy of indifference by drugs manufacturers to the Ebola crisis, the World Health Organisation (WHO) has said that, it will start using ‘experimental treatments and unapproved medicines’ in West Africa to combat the disease. Scientists are sceptical about the use of such experimental drugs, but some doctors say that this is the only hope for people affected by the virus. WHO is calling for ‘proper’ facilities to be established across West Africa, without which there is little chance of success in controlling the virus. But resources are seriously overstretched in the affected countries. The number of those killed by the virus in Liberia, Guinea, Sierra Leone and Nigeria now stands at more than 900. Unofficial estimates put the number of deaths in Sierra Leone at more than 250, though the government puts the figure at 167, as the country struggles to cope with the disease. A Saudi businessman, whom the Saudi authorities say had visited Sierra Leone in the last few weeks, has been pronounced dead at a hospital in Jeddah, after experiencing what is thought to have been Ebola-like symptoms. In Sierra Leone, where much focus now centres on controlling the virus by WHO and Medicines Sans Frontiers, president Koroma has taken the driving seat, after strong criticisms of his inept and inexperienced health minister. There is deafening call for the minister to be quickly replaced, so as to give new impetus to the country’s Ebola campaign. But Sierra Leone is not short of hope. 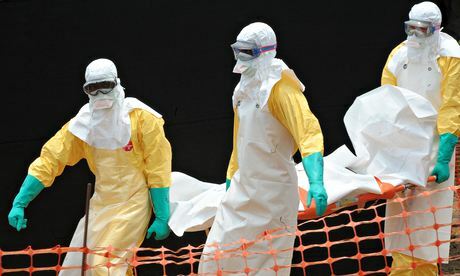 A new Ebola control centre is being built at Lakka in Freetown, in preparation for an expected increase in Ebola incidence in the country’s capital, which so far has continued to record fewer deaths than the rest of the country. According to government report, president Koroma visited the construction site of the new disease control centre in Lakka. There are concerns though, about the siting of the Ebola control centre, adjacent to the existing leprosy hospital at Lakka, which at the best of times finds it difficult to cope with the high number of leprosy cases in the country. And there is fear too, of cross-contamination infections between the two centres at Lakka, a disaster many believe is waiting to happen. In the meantime, President Koroma is urging construction workers to speed up the building work, which he said has fallen short of project schedule. 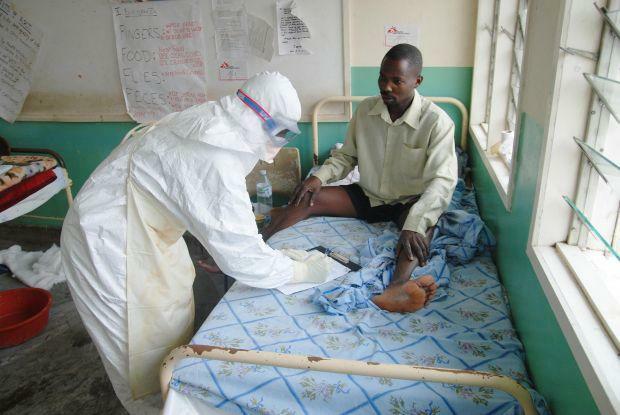 The president said he would like to see Ebola and other disease control treatment centres established in all the regions of the country, so as to prevent the Kenema situation from being repeated in Freetown, as people travel to the capital. When completed, it is understood that the Ebola control and treatment centre at Lakka will have admission rooms for severe cases, changing room for medical staff, twenty beds, a warehouse, and a mobile lab. President Koroma also visited the College of Medicine and Allied Health Sciences Teaching Hospital at Jui in the east end of Freetown, where three Ebola patients are being treated. 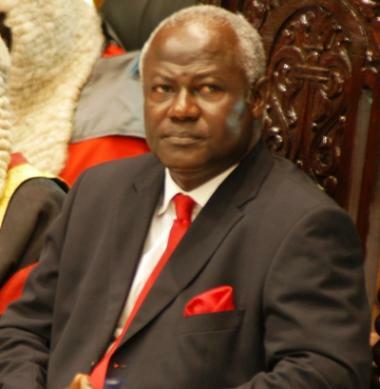 After mounting criticisms from the country’s media body – the Sierra Leone Association of Journalists (SLAJ) of the government’s lack of positive and co-ordinated engagement with the media to help tackle Ebola, president Koroma met representatives of SLAJ last Thursday at State House. Speaking to the newly formed SLAJ Ebola Response Committee, the president described the declaration of state of public emergency, as a demonstration of government’s continued commitment to the welfare and lives of Sierra Leoneans. The president encouraged SLAJ to continue to deepen sensitization about the dangers of Ebola, as well as encourage the security personnel to carry out their duties; and called on SLAJ to submit two names to join the Presidential Ebola Task Force. SLAJ President Kelvin Lewis, said the SLAJ Ebola committee met with editors, programme and station managers to discuss extensively, the way forward in the fight against the outbreak. 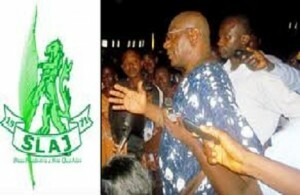 He assured President Koroma that SLAJ is fully behind the government in the fight against the disease. Mr. Lewis pledged that SLAJ will ensure the right message gets to the target communities, with the aim of changing negative stories into positives. The chairman of the SLAJ Ebola Response Committee – Dr Julius Spencer, informed president Koroma that newspapers and radio stations have all consented to dedicating quarter page space and half-hour airtime daily, for the next 100 days pro bono, as a first step in their resolve to help fight the Ebola outbreak. “Since the outbreak of the disease, a lot of resources have been dedicated towards sensitization, surveillance, contact tracing and treatment. 500 cases have been confirmed with 167 deaths, which clearly shows that we have not been able to stabilize the spread of the disease,” said President Koroma. President Koroma expressed hope that there are possibilities of survival through early detection and containment, and disclosed that over 100 people have survived the disease so far. The US Embassy had informed government of the withdrawal of peace corps volunteers from the three Ebola affected countries, including Sierra Leone, says president Koroma. President Koroma urged the international and donor community to intensify support towards the eradication of Ebola, as there is no country in the world that can single-handedly fight the deadly disease. In a separate meeting with the Inter-Religious Council, president Koroma said that he was in Kailahun when Dr Khan passed away. He said that some of the health workers died because of simple errors, such as heat generated by their protective wear, which then become infected as soon as they open them up to take in air. President Koroma said Ebola is neither regional, nor tribal, nor political, and urged everyone to do things strictly in accordance with universal health regulations. In London, Sierra Leone’s ambassador to the UK and Ireland – Mr. Eddie Turay was on television, speaking about the Ebola virus in Sierra Leone, and the efforts of his government in containing the disease. But Londoners of Sierra Leonean origin are less than impressed with the ambassador’s performance on British television. Quite simply, he sounded out of touch with reality on the ground in Sierra Leone. Another case of square peg in round hole, many would say. Is Mr Turay a fool or is he just playing a fool? The goverment has no control over the Ebola situation. I know they are trying. But why is he making stories? This man is out of control. Tell people the real story. We have no control of the ebola disease, but we have put up some measures in place to combat it. Does he know what the word CONTROL means? Somebody needs to ask that old fool.